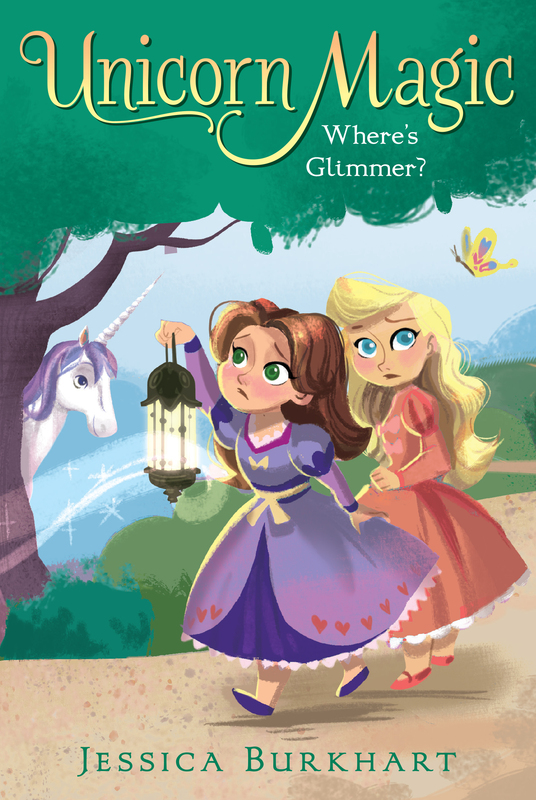 When Glimmer the Unicorn goes missing, Princess Bella will do anything to get her back in the second book in the Unicorn Magic series! Now that Princess Bella has officially been matched with her sparkly unicorn, Glimmer, it’s time to show her off to the entire Crystal Kingdom! Bella is tickled purple that she finally has a unicorn to call her own. “Glimmer!” Princess Bella yelled before she burst into giggles. The princess’s unicorn picked up the brush from Bella’s hand and held it in her mouth. 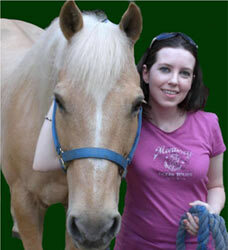 The shimmery white unicorn shook her head, sending her purple-tinted mane flying. It was like she was teasing Bella. “Are you excited because it’s Saturday and I have all weekend to spend with you?” Bella asked. “She’s sneaky,” said Ben, a boy only a few years older than Bella. Glimmer reached out her muzzle, offering Ben the brush. He took the brush, grinning. Ben had arrived a couple of days after Bella had been Paired with Glimmer. He was the nephew of Frederick, the stable manager, and he had come from the neighboring kingdom of Foris as an apprentice of his uncle. It was up to him to teach Bella about unicorn care and riding. More important, he had been assigned to help Bella and Glimmer prepare for their upcoming Crystal Kingdom debut. It was a beautiful, sunny day in Crystal Kingdom, the land ruled by Bella’s parents, King Phillip and Queen Katherine. The air smelled like honeysuckle and roses. Ben had secured Glimmer to a post just outside the royal stables with a shimmering rainbow-colored rope that was also used to help lead her around. Bees and butterflies flitted through the air, looking like confetti. A few of the bees flashed neon yellow, almost like a flashlight being turned on and off. That meant the bees had sensed pollen in the air and were headed toward a sweet-smelling flower. The butterflies in Crystal Kingdom were more beautiful than any others in the neighboring kingdoms. Crystal butterflies had wings lined with teensy sparkles that flashed and glittered like diamonds in the sunlight. “Thank you for showing me how to keep Glimmer clean, Ben,” Bella said, lifting her hand to shield her eyes from the sun. She eyed Glimmer—her very own unicorn—who had been a gift on her eighth birthday. A gift per royal tradition, of course. The unicorn’s coat was super shiny, and her mane and tail were silky after Ben had helped Bella comb them. “No problem, Princess Bella,” Ben said. “Okay, Prin—I mean, Bella.” Ben smiled at her. “Do you like taking care of the unicorns?” Bella asked Ben. Most people did not have a unicorn. It was law in Crystal Kingdom and the surrounding kingdoms that the best unicorns were saved for the royal stables. Other unicorns ran free, and it was against the law for a commoner to capture one. “Did you know someone royal in Foris?” Bella asked. Bella’s long brown hair swirled around her shoulders as she whipped her head around to look at Ben. “Ouch! I’m so sorry! Is your dad going to be okay?” she asked. Bella climbed the white fence and looked out over Crystal Castle’s grounds. She loved watching unicorns frolicking in the lush pastures. But when Bella thought about the unicorns, it reminded her of her upcoming debut with Glimmer. It was going to be here so fast—this coming Wednesday morning! It was especially exciting because it was a holiday and there would be no school. It was royal tradition that within the first month of a prince or princess being Paired with a unicorn, the pair presented themselves to the kingdom. Bella’s parents had told her that the people of Crystal Kingdom were eager to see the princess and her unicorn. Bella couldn’t wait to introduce Glimmer to the townspeople! Bella shifted her gaze back to Glimmer as Ben climbed the fence to sit next to her. She’d only been Paired with Glimmer a week ago, but she loved her unicorn more than anything in the entire Crystal Kingdom (well, except her parents!). Definitely more than all of the people in the other three sky islands. Bella had learned in geography class that sky islands were pieces of land that floated high in the clouds. The only way to reach another sky island was to cast a spell to create a rainbow or moonbeam to walk over as a bridge between two islands. “How do eighth birthdays work for princes and princesses?” Ben asked. “So red auras don’t exist?” Ben asked. “Actually, Queen Fire,” Bella said, taking a big gulp of air, “is my aunt. She is the first royal in history to be born with a red aura.” She squeezed her eyes half-shut, peeking at Ben through her lashes. I hope I didn’t scare him by telling him a crazy evil queen is related to me, Bella worried. “Let’s take Glimmer for a walk, and you can tell me more about being a royal,” Ben said. Bella nodded, and Ben untied Glimmer, handing the soft rope to Bella. The three set off down a familiar path that wound through the castle grounds and circled one of the castle’s many lakes. “My aura appeared during the Pairing Ceremony on the night of my birthday,” Bella explained. “A Pairing Ceremony is where you’re matched to your unicorn, right?” Ben asked as he walked beside Bella. “That’s right,” Bella said. She, Ben, and Glimmer continued walking through the cropped grass toward the lake. “I was getting so scared that none of the unicorns would turn purple. Then I stepped in front of Glimmer, and it was so magical. She changed from white to purple in seconds!” “That is so cool! I can’t wait until I’m old enough to help during a Pairing Ceremony.” Ben got a faraway look in his eyes, as if he was picturing himself in Frederick’s place. Glimmer snorted and bobbed her head. “I think she’s happy too,” Ben said. Bella, Ben, and Glimmer reached the lake. A spell had been cast on the deep water so it was clear enough that the bottom of the lake was visible. Bella and Ben led Glimmer to the lake’s edge and halted her. Glimmer watched Ben and Bella peer into the water, then turned her own gaze to the lake water. “Ooh, look!” Bella said. “See those spiky blue fish?” A school of electric-blue fish covered in spikes swam near the water’s edge. Bella’s eyes followed Ben’s finger. It took a moment before she spotted the dog fish. The white fish had dozens of black spots and barely moved as it crawled along the lake’s bottom. It had floppy ears that covered its gills, and instead of a fish mouth it had a dog’s snout. Dog fish were important to lake life—they ate all the dirty algae and helped keep the water clean. Dog fish reminded Bella of vacuum cleaners. Glimmer pulled on the rainbow line, stretching her neck toward the lake. Ben nodded his okay, and Bella let Glimmer lower her head and take a few sips of water. “Want to try taking Glimmer for a ride tomorrow?” Ben asked. “Really? Do you think I’m ready?” Bella asked. She clasped her hands together and tried very hard not to jump up and down. The trio stayed by the lake for a few more moments before starting the walk back to the royal stables. For the rest of the day, all Bella could think about was riding. It felt like her birthday all over again! Book Cover Image (jpg): Where's Glimmer?